I know that today is February 7th, but I literally just realized that it is already February. Where is time going? I have been enjoying a relaxing week of catching up on sleep and working long days. I also managed to finish making my second scarf which I gave to my aunt for her birthday this past weekend. 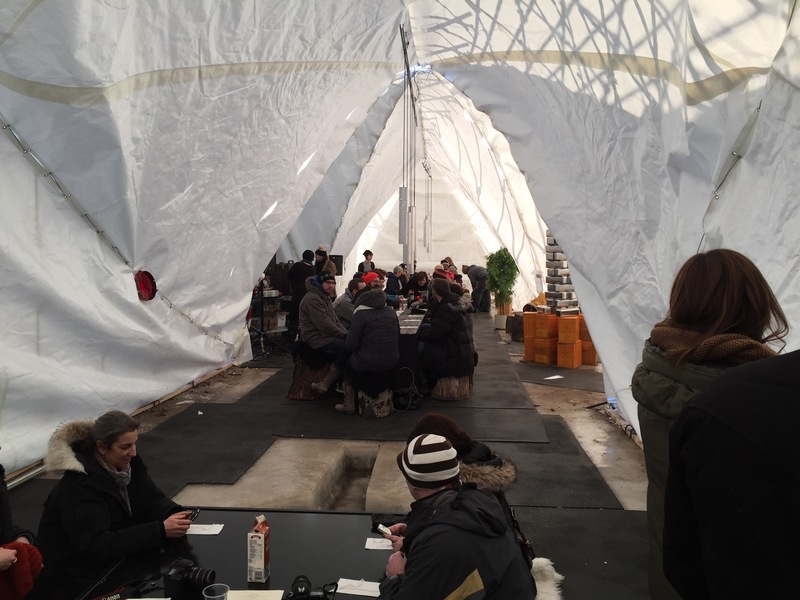 We had the opportunity to enjoy sharing a meal on the middle of the frozen Red River at a pop up restaurant at the Forks in downtown Winnipeg. We braved the freezing cold weather and went for brunch on Sunday morning with her, my parents and my cousin. It was the perfect way to celebrate together with family. It was definitely cold outside, but nice and toasty inside. Each weekend they host a brunch on a first come first serve basis. They also have a different menu for you to experience. On our visit, brunch was being prepared by The Tallest Poppy which is located at 103 Sherbrooke Street in the West Broadway neighbourhood of Winnipeg. They served a fixed menu three course breakfast consisting of Red River cereal with fruit, a Belgian waffle with bacon, and an egg on a bindaetteok with coleslaw. It was an amazing experience and I am so glad that I was able to share it with my family. The price of admission was quite reasonable at $25 per person. The meal is always something different so you can keep coming back for a different experience every time. 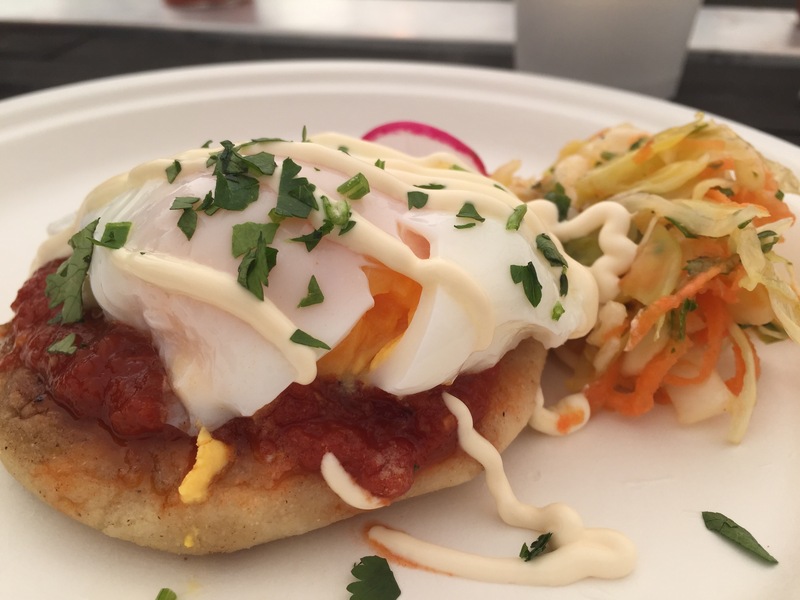 Have you had the opportunity to get brunch yet on the Red River? This entry was posted in Restaurants & Reviews and tagged Birthday, Brunch, Family, restaurants, The Forks. Bookmark the permalink.